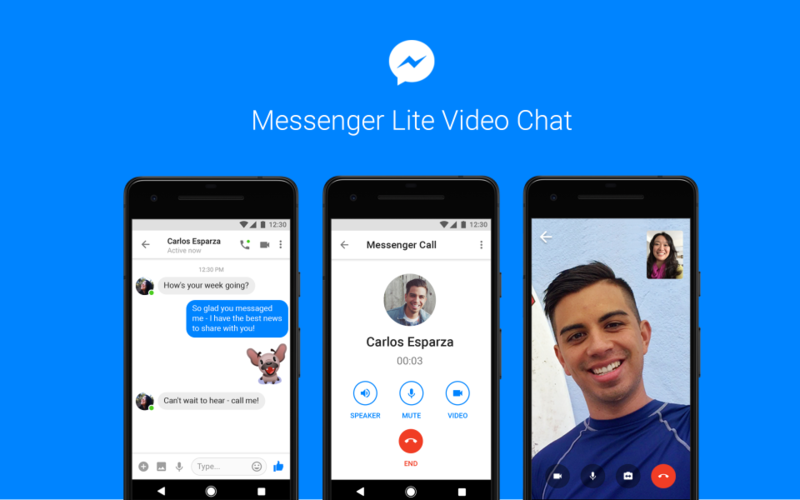 Finally, Facebook has decided to push the long-awaited video calling feature for its Facebook messenger Lite for Android. This video calling feature is available on messenger app for a long time but not available on the later version. This is a great way to be connected with friends and family. Recently Facebook announced that there were a total of 17 billion video calls that were made in the year 2017 alone with twice as many calls made in 2016. Reeling from the success, Facebook is now bringing this video calling feature on the lite version also and is expected to provide a rich experience of face to face video calling on the Android devices. The Facebook messenger lite comes with many core messaging abilities which include audio calls, sending text, sending photos, links and many more. This app is available on Google play store and also has a small size of 10MB, making it easy to download and use. The new update is rolling out to the Facebook messenger lite users on Android and should be available to all the users in the coming few days across the world. The users can also switch to a video call from audio call directly by tapping on the video icon on the bottom of the app which instantly switches the call. It is now easy to make a call and wish a friend or family member without much fuss. This gives everyone a chance to make video calls, even after having a slower internet connection or even for people using older Android devices which is slow. Do you use Facebook messenger lite? Ever made a voice call on it? Have you been waiting for the video call feature on Android? Comment in the section below if you have more queries and stay tuned to Android Advices for more news and updates.